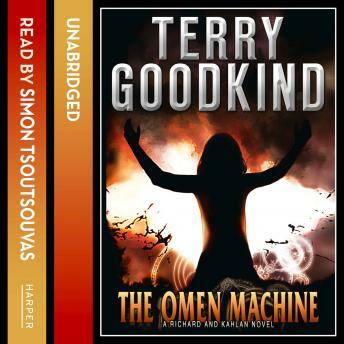 A new Kahlan and Richard fantasy novel from bestselling author, Terry Goodkind. An accident leads to the discovery of a mysterious machine that has rested hidden deep underground for countless millennia. The machine awakens to begin issuing a series of increasingly alarming, if minor, omens. The omens turn out to be astonishingly accurate, and ever more ominous. As Zedd tries to figure out how to destroy the sinister device, the machine issues a cataclysmic omen involving Richard and Kahlan, foretelling an impending event beyond anyone's ability to stop. As catastrophe approaches, the machine then reveals that it is within its power to withdraw the omen . . . In exchange for an impossible demand.